Could the Brexit trade talks be delayed? 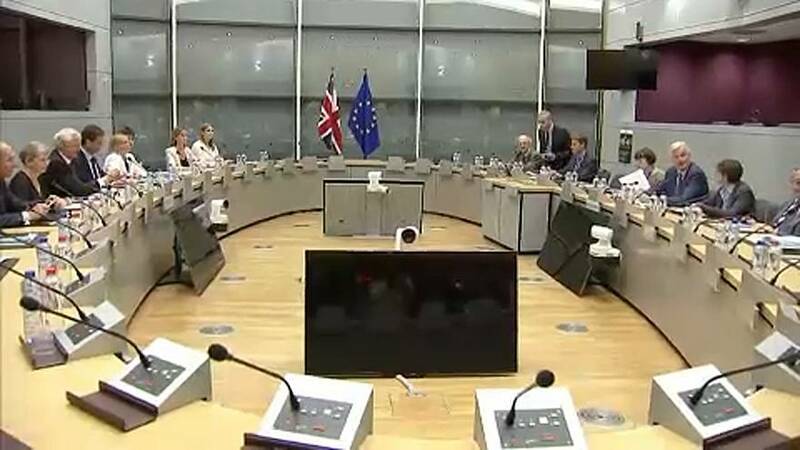 The clock’s ticking for the UK, as another round of Brexit talks kick off in Brussels. With sticking points remaining, the launch of the next round of negotiations – on trade and the future relationship – could now be delayed into next year. “It’s really concerning if we don’t get the agreement to move to phase two in December because then that means probably March is the next opportunity to do that,” Simon Usherwood, a reader in politics at the University of Surrey, told Euronews. The key stumbling blocks right now are the future rights of British citizens in Europe and vice versa; the land-border in Northern Ireland; and the bill, how much money the UK will pay to settle this messy divorce. Steven Laycock, from Britain, moved to Belgium in the 1980s. He recently took up Belgian citizenship because of Brexit and says citizen rights should have already been sorted. “What I’m hoping is at a minimum these rights will be pretty much continued, there’ll be able to have free movement and so on. Really, something needs to be done quickly,” he told Euronews. Reporting from Brussels, Euronews’ Damon Embling said: “The pressure’s piling on British Prime Minister Theresa May, who finds herself grappling with crises on both sides of the Channel. Sixteen months on after the vote to leave, splits remain.